The two newest additions to the decodable novels in our apps, The Plan and Life Is A Joke, differ from our other stories in two important ways. They aren’t at level 2 in our phonics progression. Plan is level 1 and Joke is level 3. More noticeable, however, is the absence of images. Moving forward, we want our digital decodable books to become a showcase for talented dyslexic artists and visual artists with other learning difficulties. Therefore, we decided to leave the canvas blank for now and release the update. 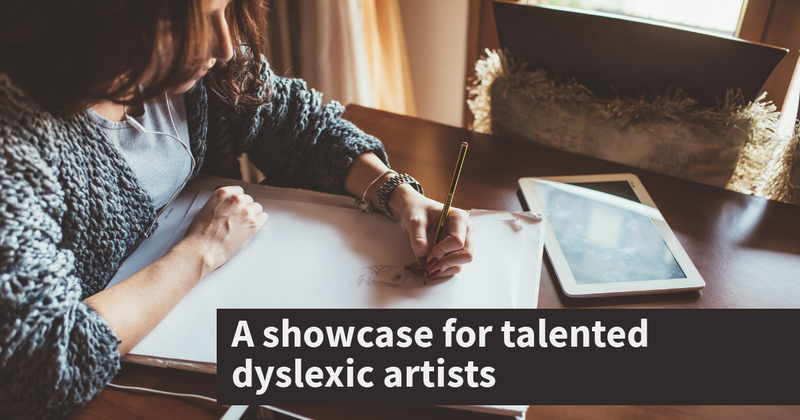 The profiles of visual artists like Eric Staib, GabyGaby and Heather Day and more found in the DyslexiaHelp “success stories” are so inspiring. We’d love for our digital decodables and this website to be a platform to introduce new artists to the world and inspire others as well. This project is important to us and is filling a real need. We’ve gotten wonderful feedback from all over the world. That’s why we keep growing the Library despite very modest sales. Our niche is important but not lucrative. So we’re looking for artists who share our commitment to bringing great digital resources to older beginner readers, who are excited about the possibility of illustrating a digital novel and the visibility our platform will provide. We’re looking for volunteers. Ideally, we’d want one illustrator per story and are open to exploring a wide variety of art styles. Manga, sketchy pen and ink, moody charcoal renderings… you name it. The selection of elements or scenes to be illustrated from each story is something we’d decide together. At the back of the story, we would include a brief, narrated profile and photo of the artist. The same profile would also be published on our website. The online post would have links to the artist’s website and social media. News of our artists’ achievements and events would be our news! Interested in this initiative? If you’re a dyslexic artist or know of one who we might approach, please get in touch through our contact page.